After winning the title of Miss California, Noelle was gearing up to take on the Miss America pageant. We were fortunate to be asked to bake the cake for her send-off party. Amidst her busy schedule she sent a thank you note to us. 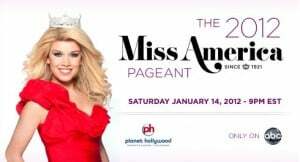 You can watch the Miss America Pageant on ABC, this Saturday January 14th, at 6pm. Come see us at the Brea Bridal Show on Saturday January 28th from 11am-3pm. theKnot.com and dozens of other photographers, caterers, videographers, florists, and more with be present and ready to talk about your special day. Admission is only $6 and you can register online to receive a discounted admission price. The show will be held at the Brea Community Center, 659 E. Madison Way. This just in, we are excited to announce we have won the Bride’s Choice Awards™ 2012!